Crawlspaces are notoriously bad for mold growth, also included are cold cellars and storage rooms. These areas are not usually living spaces, simply just storage areas for personal belongings. If water or any source of water can enter the space, mould growth can and will occur. Mold will grow on the floors, walls, ceilings and anything else you have stored in the area. The presence of water or high humidity in crawlspace areas can and will cause major damage to the structure of your property. 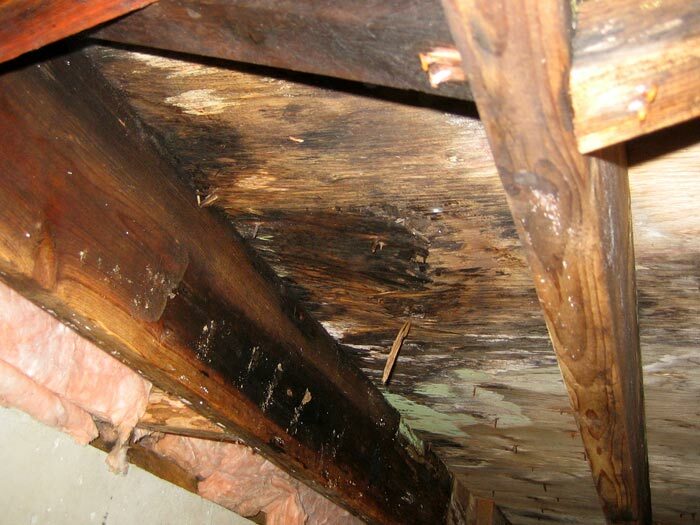 The result of this excessive moisture will be wood rot, Visible Mold, Fungal growth on the structural organic materials such as beams and floor joists. 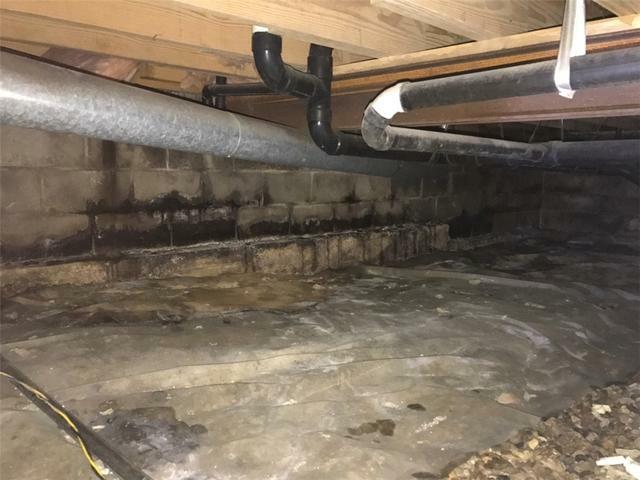 Damp or Excessively wet crawlspaces can certainly contribute and cause mold related health issues and should be remediated as soon as possible. Not only do these area cause mold, but they also harbour bacterial growth as well. 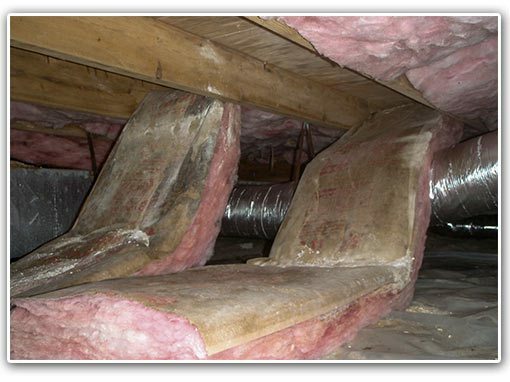 Most often, crawl-spaces are not properly ventilated and improperly insulated. Over time, this will lead to a buildup of condensation which will cause microbial growth aka mould. It’s very important to monitor these areas from time to time, even if it’s not an area you often use or want to be in. Foundation issues are also a reason that mold will grow in crawlspaces. If a foundation begins to crack and deteriorate, mould will occur. If the waterproofing or weepers start to deteriorate, it will cause seepage and again cause mold growth. When a musty, damp, earth odour is present it is a strong indication of the presence of mould. This is actually called an MVOC which is short for Microbial Volatile Organic Compound. This is a digestive gas given off by mold. If MVOCs are present, it usually recommended to have an air quality sampling done to confirm Mould as well as the cause of the growth. In older homes many crawlspaces have dirt floors which allows a prime food source and condition for mould to grow. Ottawa Mold Removal can assist you with a crawl space cleaning service. We can implement a crawlspace moisture system designed to control and regulate moisture levels as well as crawlspace fungi and mold. Ottawa Mold Removal in Ottawa, Ontario is a full service restoration and remediation company. We specialize in Mold, Water Damage, Odour Removal, and Biohazard Abatement. If you believe you have a mold issue in your crawl space, please call Ottawa Mold Removal. We will visit your property to inspect, and set up a plan to help you execute the proper steps to ensure your home is restored to a safe and healthy condition. We offer FREE inspections and consultation for your mould issue. You may also fill in the contact form below and one of our mold experts will respond very promptly to your request.